Experience the thrill and thunder of racing with the pride and prestige of building your own stable of champions. Make history and build a brighter future in PHAR LAP - Horse Racing Challenge! 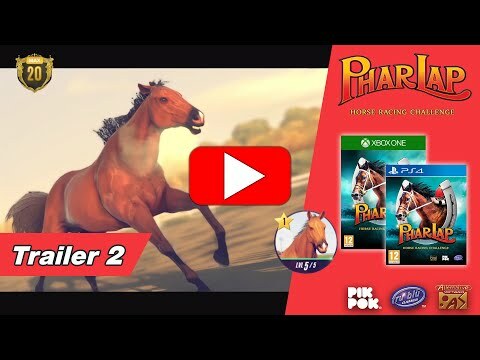 Phar Lap - Horse Racing Challenge was released on PS4 30d ago in the US and the UK. Notify me when Phar Lap - Horse Racing Challenge is available.